For 15 years I worked in marketing departments of various corporations and international companies, in support of direct sales forces. For the next 5 years, I moved to the agency side of the fence and worked in sales promotion/direct marketing/ advertising; then set up my own ‘through-the-line’ consultancy in Oxford, which I ran for 13 years, before selling out to an American multi-national. As an agency head, I have in-depth experience of most business sectors, both FMCG and B2B. My marketing experience is overlaid with general management experience, having founded and grown a small consultancy business from scratch to a £6million turnover with 40 employees. 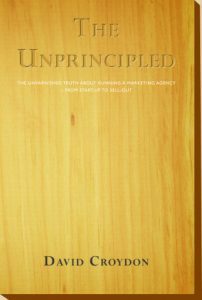 I wrote a memoir of the 12 years running Marketing Principles, as the business was called, called The Unprincipled, a 320-page book that is part comic novel, part memoir, part business handbook. Set in Oxford in the 1980’s and 90’s it documents the fun and games, and pain and heartache we telescoped into 12 short years. The title is taken from the scurrilous in-house ‘newsletter’ our creative department compiled a couple of times a year, to debunk any of our employees who… oh, just anyone who worked for us (including me). 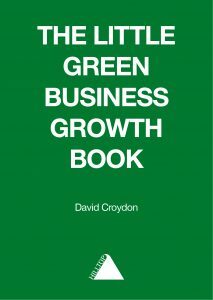 Having successfully sold the business in 1999, I now work as an independent operator in the small/medium size business sector, helping the MD/Owners of a wide variety of businesses in very different market sectors to grow and improve their businesses’ performance and profitability. The principles of business management remain the same, no matter what the product or market sector (my business, incidentally, was called Marketing Principles). Putting those core principles to work is what Hilltop Consultancy is all about. A strong team player (a zillion years ago, I played rugby football for Saracens for a decade or more, and believe I still holds their all-time points-scoring record), my strong belief is that good teamwork in the workplace is as important as on the playing field. Likewise the need for great leadership. If you would like to view more posts, head on over to the Newsletters page, click on the Newsletters button in the Navigation bar or click here.